Paddling by the series of rock face with rock paintings made by Ojibwe shamans perhaps three hundred years ago, we seemed to slip into another dimension. 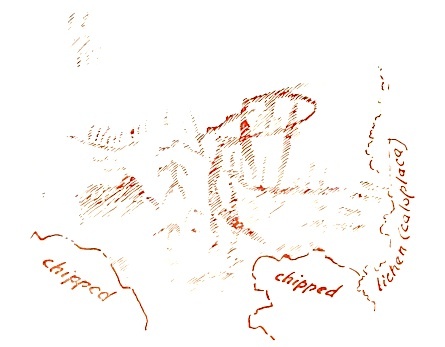 We weren’t canoe tripping anymore – maps, portages, campsite search, all forgotten. 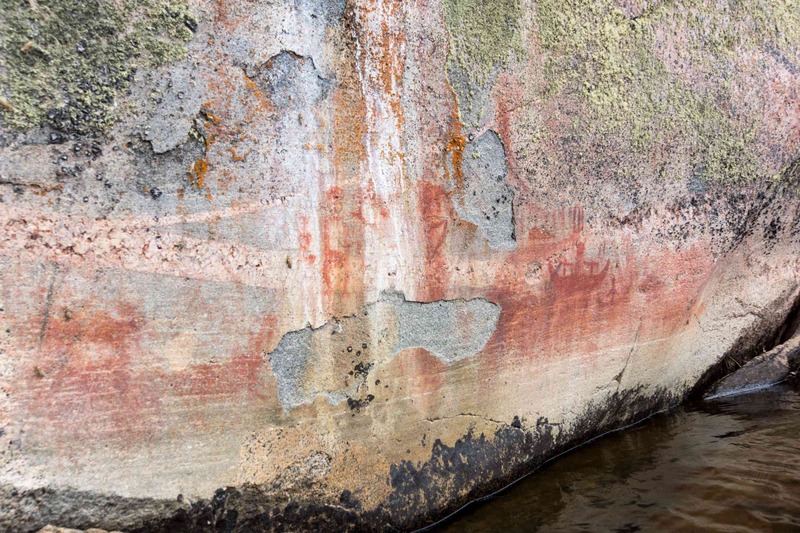 Now we were pilgrims searching for meaning in the ochre images, hoping to hear the stories of those who came to this very same place in their birchbark canoes. 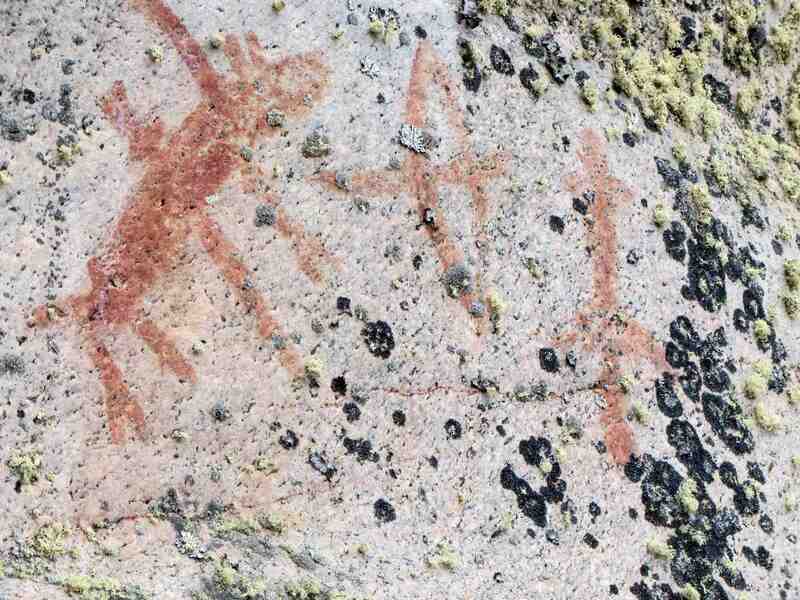 The highlight of our paddle through the headwaters of the Bloodvein River in Woodland Caribou Provincial Park was the time we spent at the various Anishinaabe pictograph sites. Two stand out – the one between Murdock Lake and Larus Lake – and the one we came to as we approached the east arm of Artery Lake. Using the pictures we snapped during our time there – a Sunday morning in July of 2014 and my brother’s 60th. birthday no less! 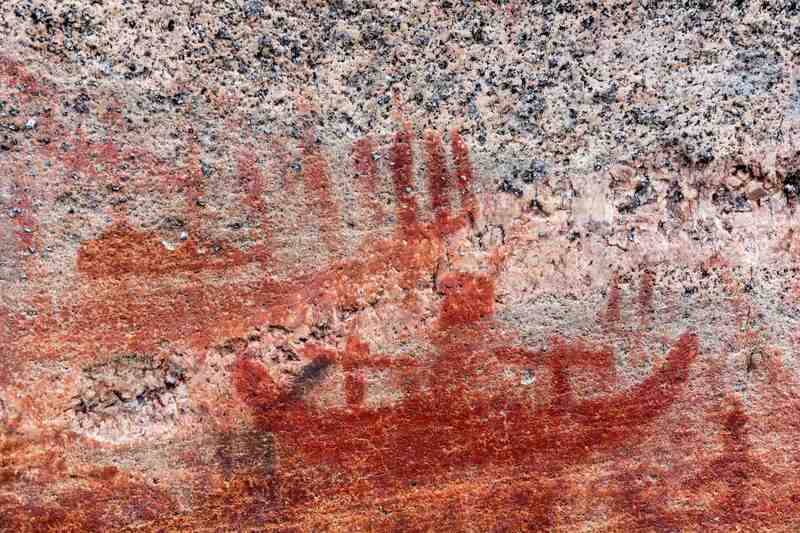 – I hope to give some visuals for the notes and drawings which Dewdney made while at the site. All images enlarge with a click; all blue text leads to more info with a click. 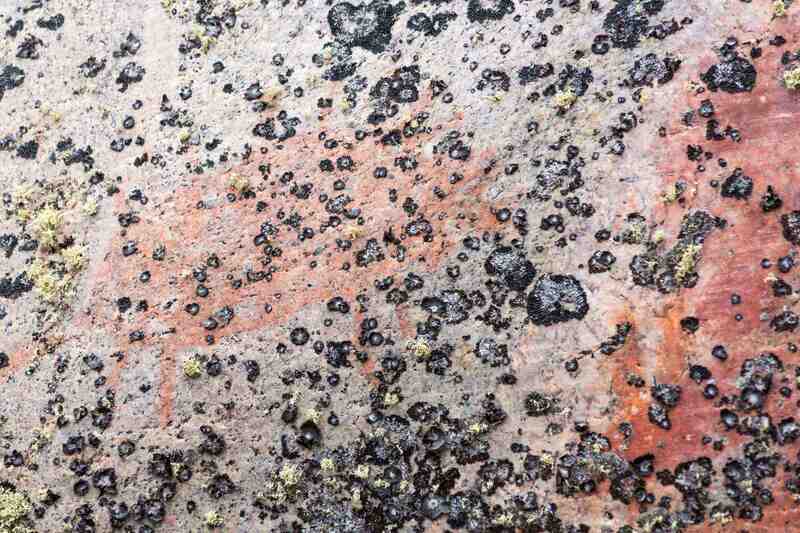 The northern exposure was unexpected, and the question arises how the rock came to be lichen-free at the time it was chosen for a site. Peter and I scrubbed off whole yards of the fuzzy green species that had grown over a good half of the paintings. Look at some of the overview images I have included and you can see that “the fuzzy green species” is alive and well! We did wonder if someone in an official park capacity should be doing what Dewdney and his son did and scrub the stuff off or whether nature should just be allowed to take its course. To what extent should the park staff get into site management? The current policy does not seem to go further than not publicizing the locations of the various sites for fear of vandalism. 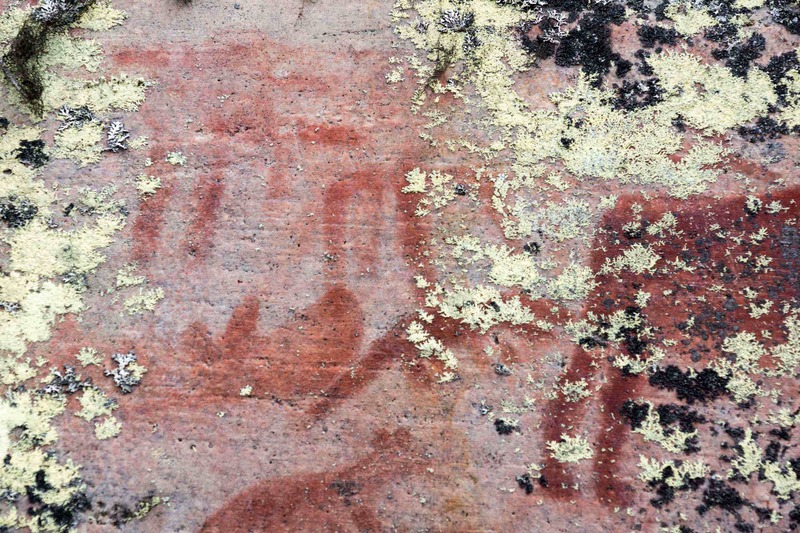 The north end of the site – Face I in Dewdney’s organizational scheme – has a few fairly vague markings; the two following images show some of them. 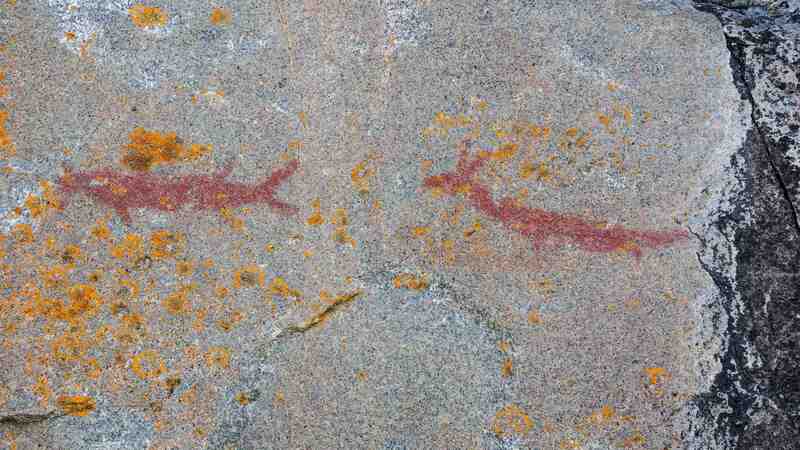 Dewdney refers to the above images as “the two curious ‘wigglers'”; they may be representations of the medicine serpent, usually depicted with two horns. 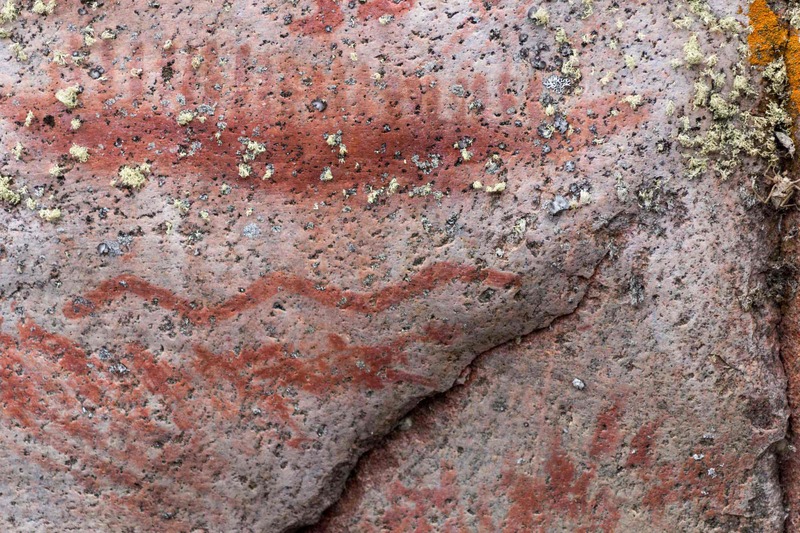 The serpent figure from Panel I at Agawa Rock shown to the left has a similar appearance. In the Anishinaabe worldview the serpent was involved in the transfer of “medicine” or good favour to the shaman who has come to the site. As we paddled on we approached the core of the site. First up was Face II, a five-meter stretch of rock face showing a significant amount of flaking. 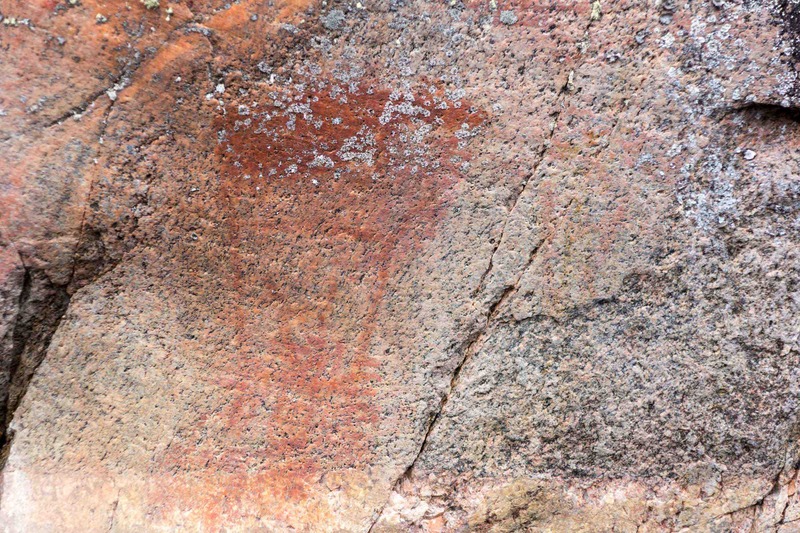 Dewdney’ sketch of the human figure with the outstretched arms is a bit reminiscent of the Murdock-Larus one holding out a smaller human figure. Perhaps it is a variation of the shaman holding the otter skin medicine bag? 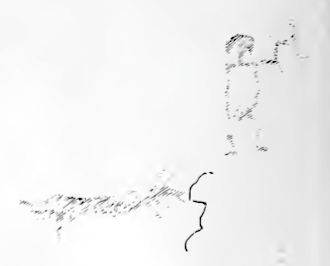 Also noted on Dewdney’s sketch is his indication of the crack which corresponds to the flaking. One wonders if the piece was still attached when he was there over fifty years ago. 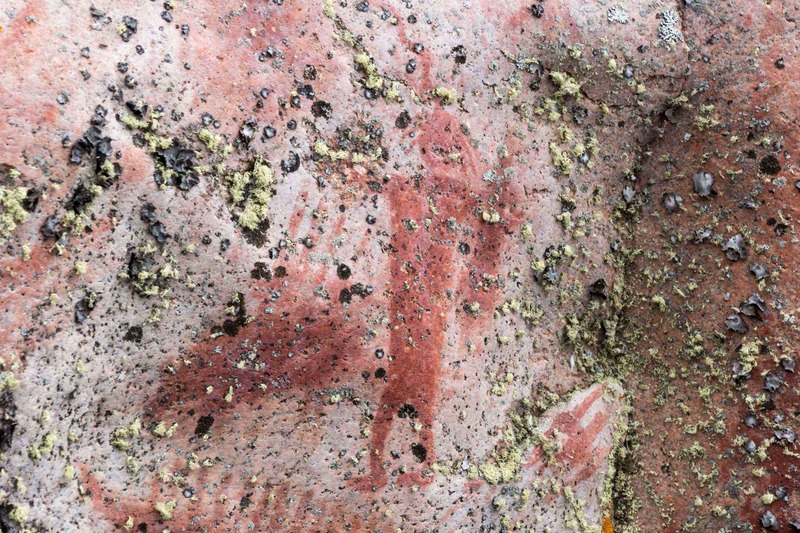 The image below is a closer-up shot of the same figure with outstretched arms. Face III is a puzzling conglomeration of overpainting and abstractions in which little can be deciphered. I would guess that the animal on the upper left is a porcupine. 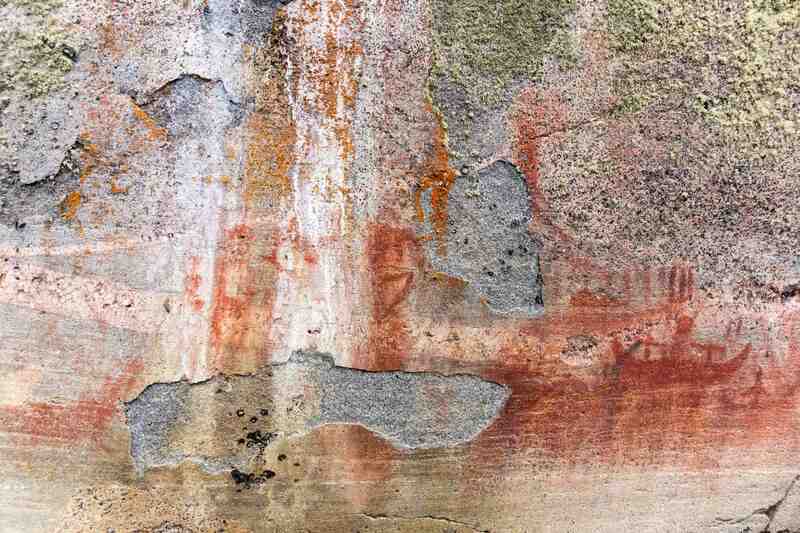 Artery Lake Pictograph Site – Face III? Somehow we did not get a shot of the entire face – but here is the porcupine he refers to. 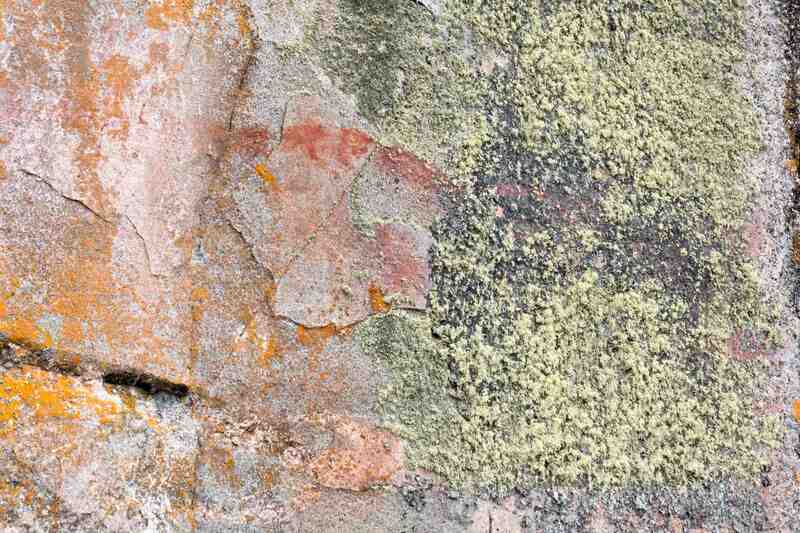 From the details, it looks like it was sitting just above and to the left of the rest of the “puzzling conglomeration of overpainting and abstractions”. 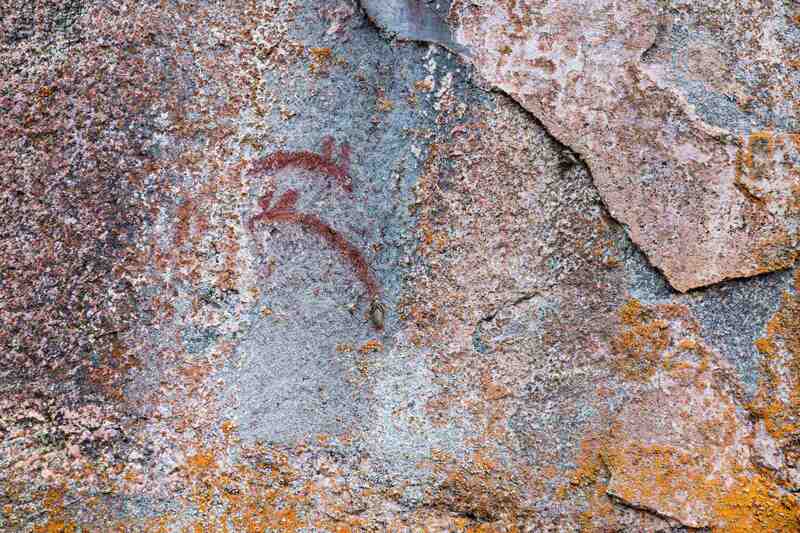 And finally, the pictographs for which the site is best known. (I have labeled it Face IV, though the number is not mentioned in Dewdney’s account.) While the pic below shows me looking at the flip-out lcd screen – a newly-acquired approach to image framing for someone who has spent the past forty years staring into viewfinders! – and focussing on Face III and one of the pix you see above, the main event is to the right. 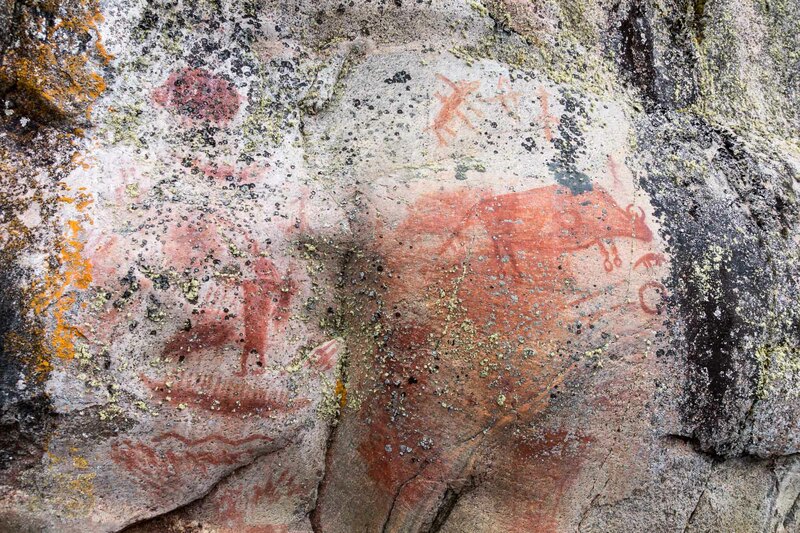 Artery Lake Pictograph Site – Face IV bison and canoe above shaman? 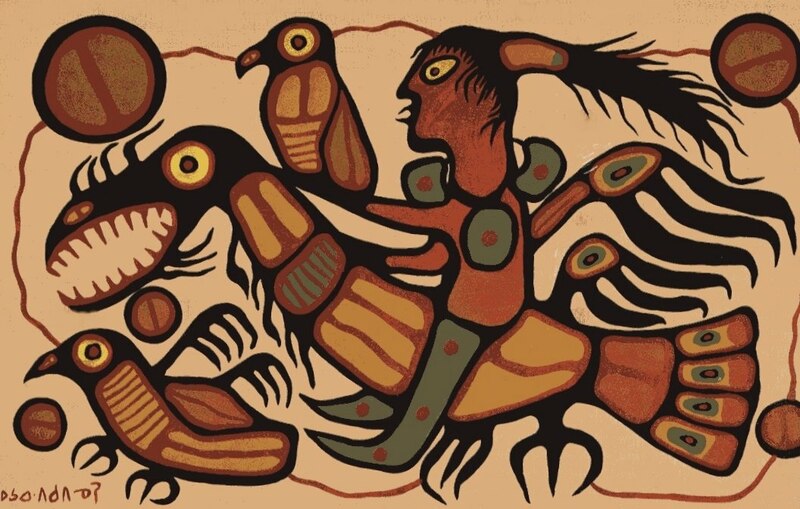 Looking at the “power” or “interconnectedness” lines coming out of (or into) the shaman’s head, I can’t help but think of Norval Morrisseau. He is the Ojibwe painter who often used exactly the same visual vocabulary in his paintings. 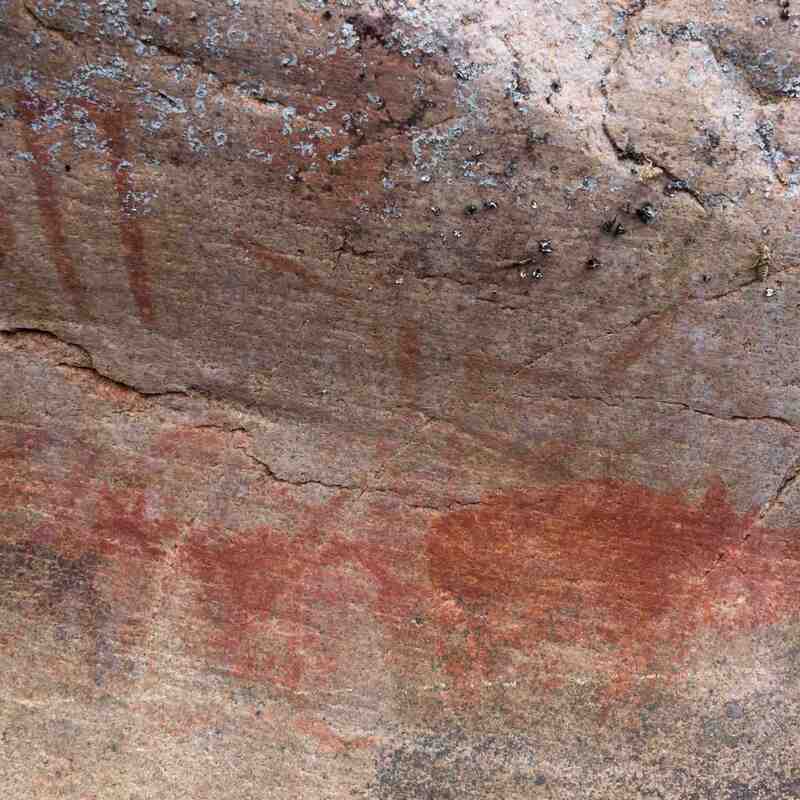 Also, note that his human figures are usually painted in the same ochre colour of the pictographs! 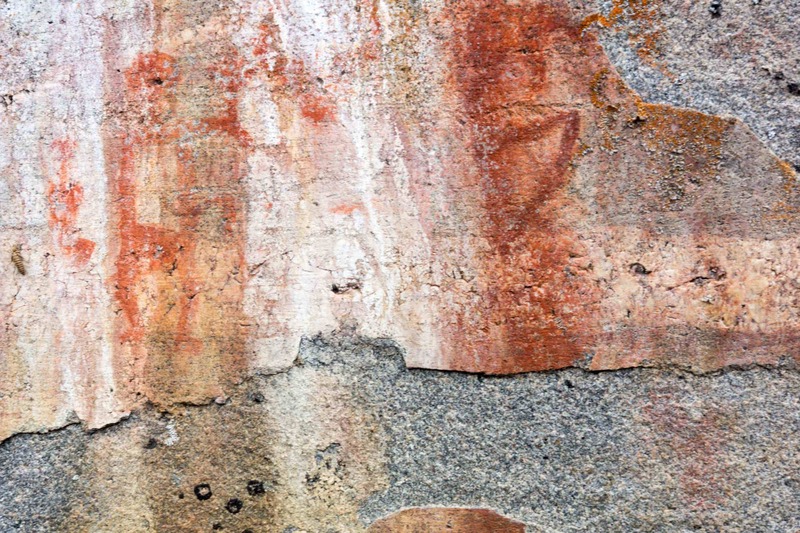 This may be the origin of the term “redskin”, given that warriors made use of the same ochre in preparation for battle. 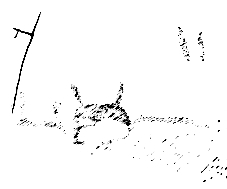 Dewdney also made note of two particular features in the drawing. 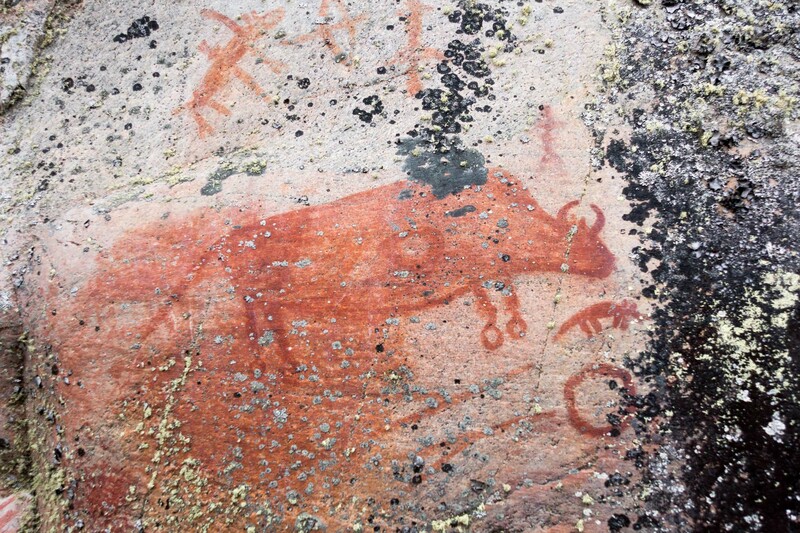 One was what he called “a vague indication of a heart”, referring to the circle on the bison’s body emphasized with extra paint by the painter. Another detail has to do with the feet drawn in as ovals. 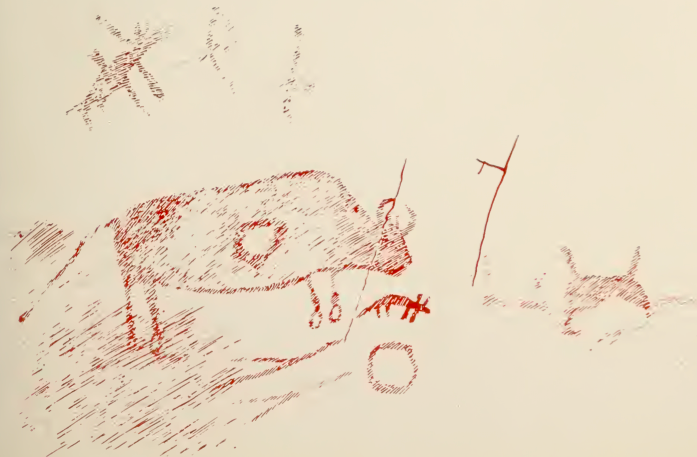 By chance Dewdney had been looking at some of the Lascaux Cave paintings around this time and noticed a similar treatment. Coincidence? Well, of course it is. What else would it be? 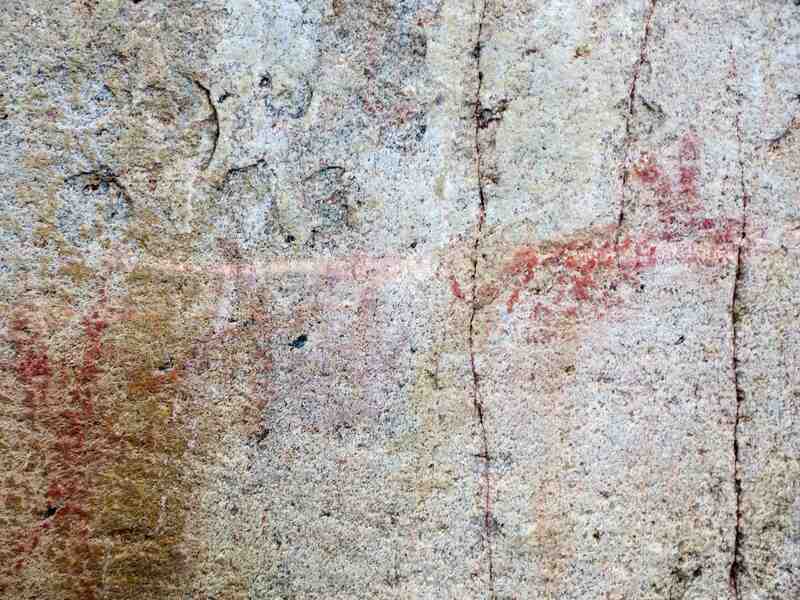 The Lascaux Cave paintings date back 20,000 years. 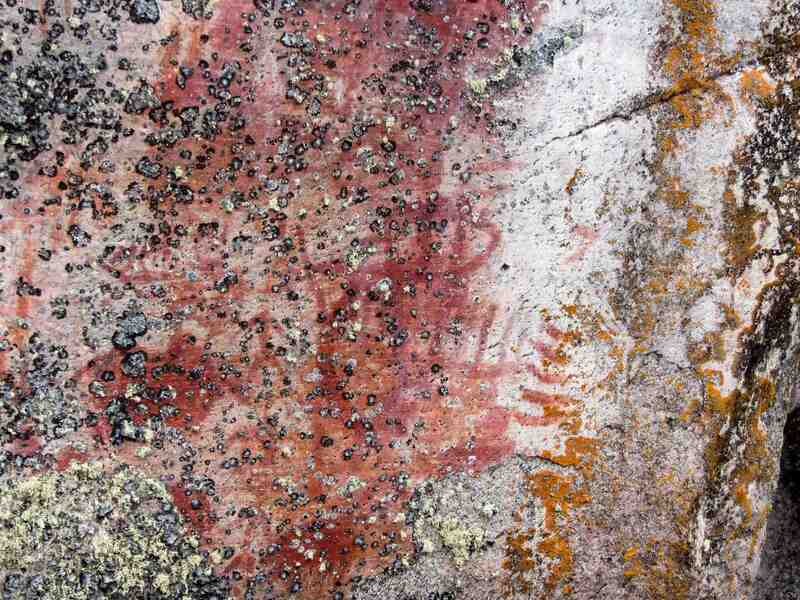 The Bloodvein bison is maybe 300 years old. Underneath the bison image is the one you see below. It appears to be a structure with a human figure inside. What comes to mind is the Ojibwe ritual involving the “shaking tent” into which the shaman would go for conjuring purposes. 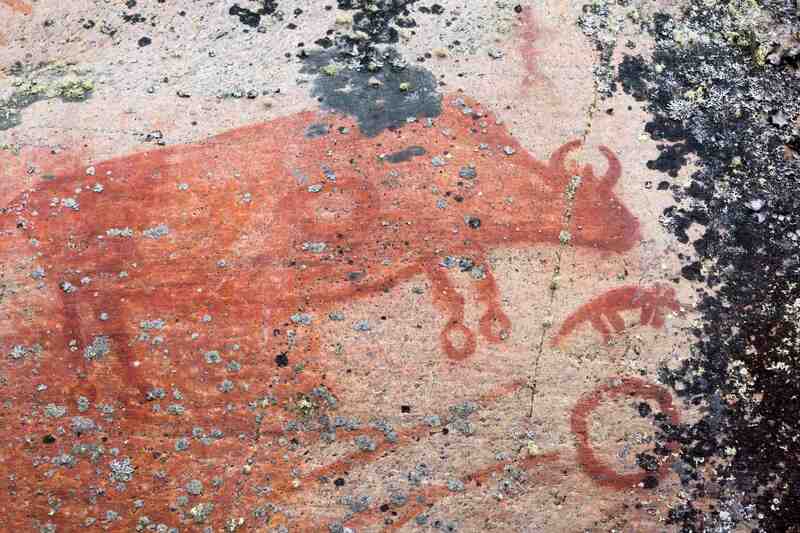 Beyond the shaman and bison images are yet more pictographs. How could I have framed the image below so that only the rear half of the moose figure on the right-hand side is visible? That’s what zoom is for! 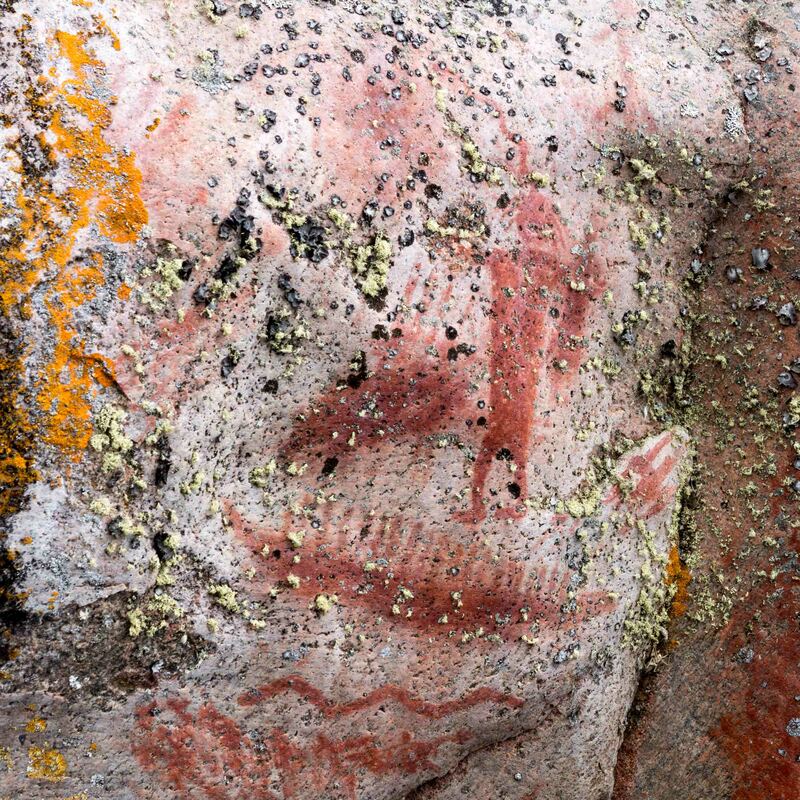 More questions than answers as we take in the images but it is undeniable that we felt something special as we paddled away from the famed Artery Lake pictograph site. 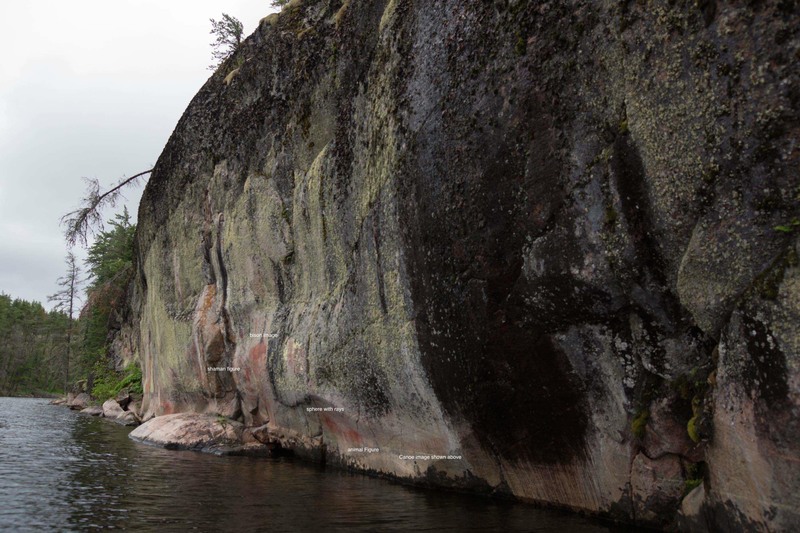 During the first three days on the Bloodvein headwaters we had joked that the aches and pains that come from doing six kilometers of portages at maximum travel weight to get to the pictographs was the price of admission. As we moved on to the next pictograph site we agreed it had been worth it. 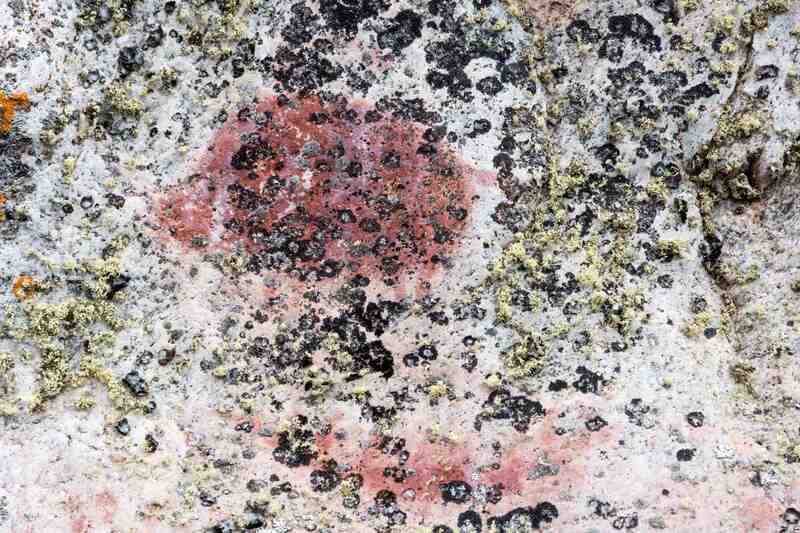 Dewdney’s book on the pictograph sites of the Canadian Shield is available for online reading or download here. The Artery Lake site is discussed from pages 59 to 61. 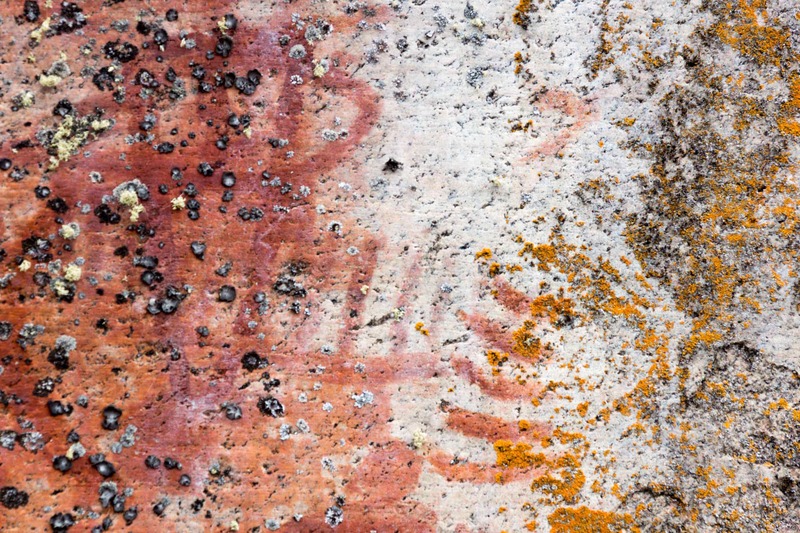 Over the past 35 years, Thor Conway has continued the work of Dewdney to record and understand the pictographs, taking special care to listen to the Anishinaabe elders and incorporate their understanding of their traditional culture and the place of the rock paintings in it. His website and contact info can be found here. 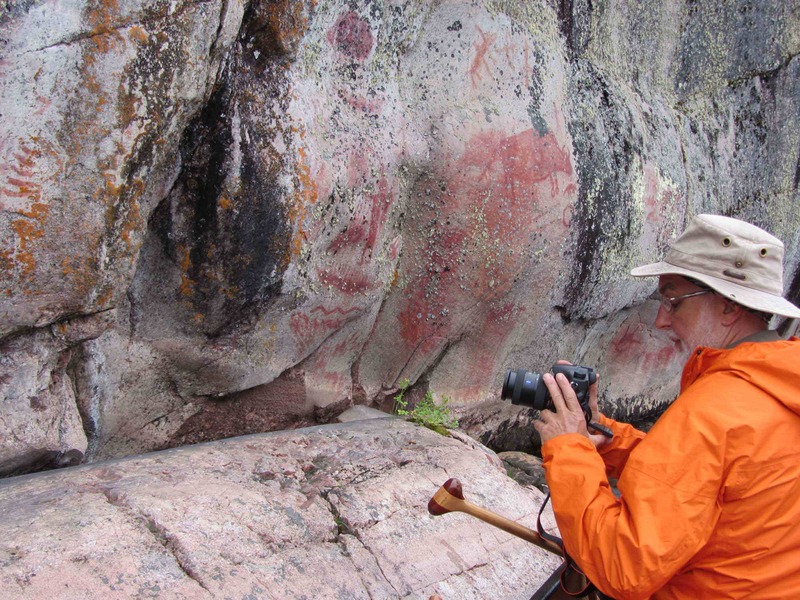 In the fall of 2016 Conway published a new book – Discovering Rock Art – which examines in some detail a dozen Ontario pictograph sites. Included is a chapter on this Artery Lake site with a number of insights that will one day force me to reconsider – and rewrite – some of the contents of my post! 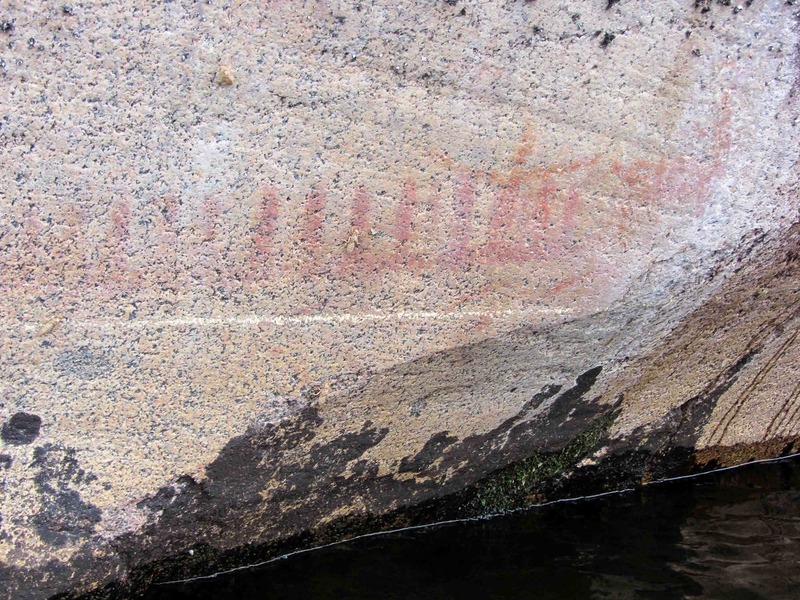 If you click on “Ojibwe Pictographs” on my site header, you find a few more posts I have put together on the pictographs of the Canadian Shield. 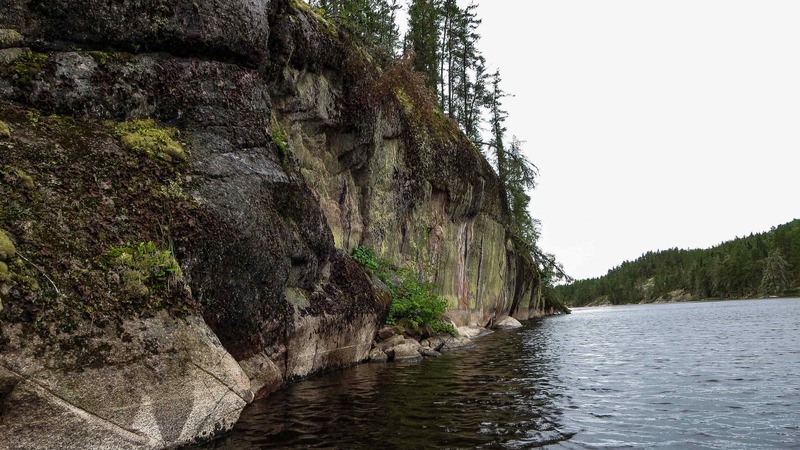 It all began about a year and a half ago as we were preparing for a canoe trip that would, among other things, take us down Cliff Lake on the Pikitigushi River system. 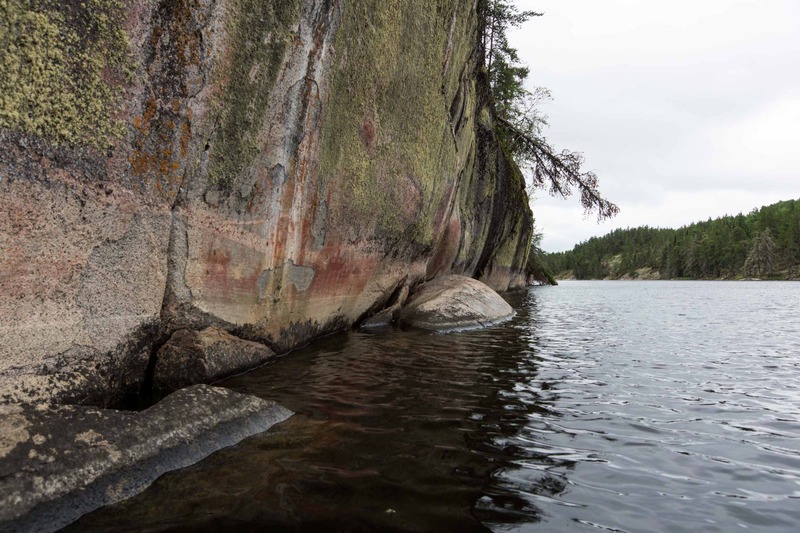 It turns out that Cliff Lake is one of the premier pictograph sites of the Canadian Shield. Who knew! Certainly not me. 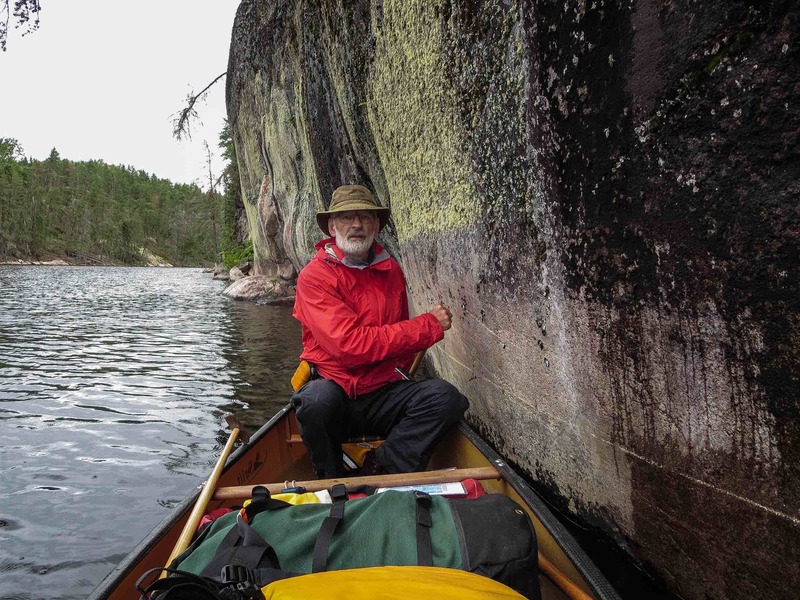 I was excited to have this additional element added to our adventure; I was also struck by how little I knew about those enigmatic rock paintings in a canoe country I have spent thirty years paddling and was keen on blowing away the fog of ignorance. It has been an interesting journey but there is still more than a bit of fog to blow away! 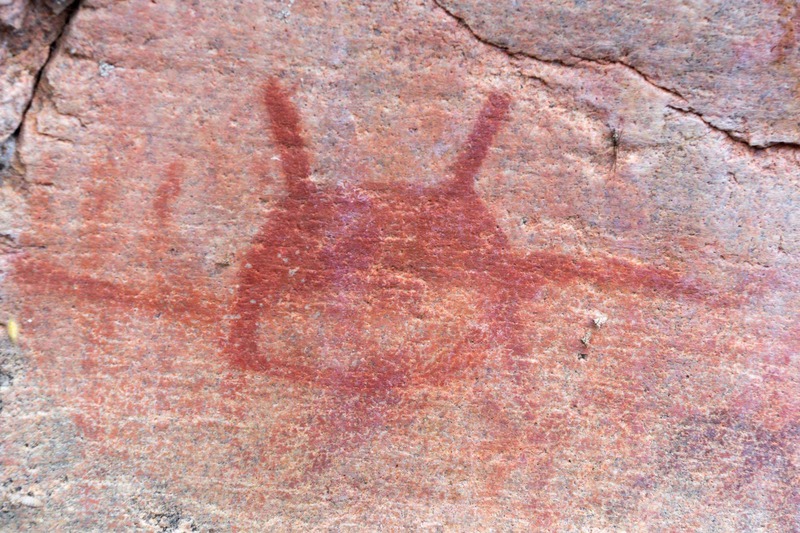 This entry was posted in Pictographs of the Canadian Shield and tagged Anishinaabeg art, artery Lake pictographs, artery lake rock paintings, bloodvein bison rock painting, bloodvein pictographs, bloodvein river canoe trip; artery lake rock paintings, bloodvein shaman painting, Dewdney Artery Lake, indian rock paintings artery lake, ochre rock paintings, shaman with otter skin bag. Bookmark the permalink. Very informative! Thank you very much! I’m just a guy with no pictograph skills here K ? BUT…… why are you AND others not shooting these with ” Infar Red ” film ? I’m shocked at the absence of using this method, in the fact that using this film……..would turn those pictographs in Brand New images. No scratching one’s head with this film. Pure perfect images end of story. Fraser, you’re absolutely right! Not sure about the infrared technique but there is a program popular with pictograph researchers called DStretch that makes the image pop. See here for how it works. 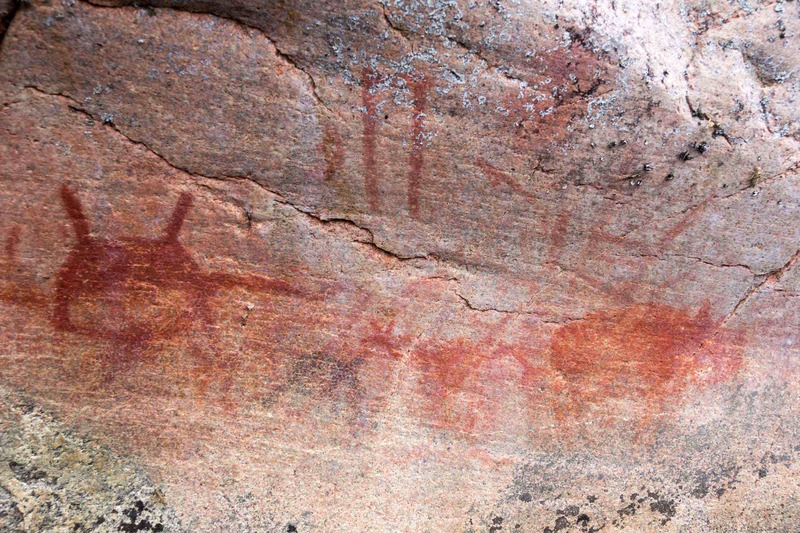 Or how about this – a guy in Findland is doing this with his pictograph images in Adobe Photoshop and it looks pretty neat. And then there are my photos – dull, no pop, most images almost disappeared. In other words, just like they are in reality. I decided that I would show them the way they are so as not to give anyone who paddles their way to them a false idea of what they will be seeing. Real true images that often have you scratching your head – end of story! But not quite – I do like what the Finnish guy has been doing with his images and would love to find out how to layer the two images the way he does to get that effect. That would be the best of all – not only real true images but closer to pure perfect images! I am working on it! In the meanwhile, get out there with your infrared camera and snap some shots! BTW – you still shoot film? Is there a digital version of infrared?